Midland Resource Recovery (MRR) provided a turnkey odorization system upgrade for a Pennsylvania client who demanded that there be no odorant injection interruption while installing the new equipment on the old system’s footprint. 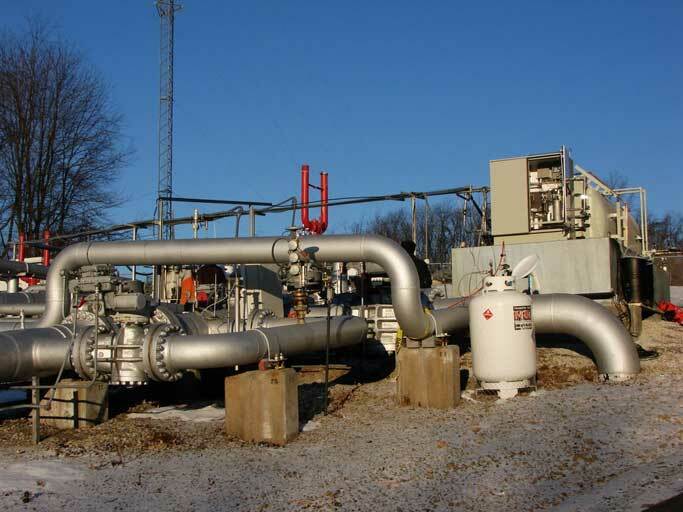 A Pennsylvania gas company required an updated turnkey odorization system to replace outdated equipment. The new system had to be turnkey for safety reasons, as odorization could not be interrupted while decommissioning the old equipment from service. Additionally, there were space limitations, and the new system had to be installed on the old facility’s footprint. The solution proposed by MRR was to install a temporary odorization system providing continuous odorization during the upgrade work. Rental, installation, and start-up of a temporary portable odorant tank and transitory odorizer for each odorant injection point. Draining the odorant from the old tank using an MRR bobtail truck, and providing temporary storage of the odorant at the MRR facility in Philippi, WV. 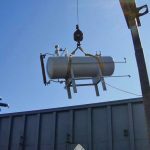 Decommissioning the old tank and odorizer panel, and transporting the equipment to the MRR treatment facility in Philippi, WV. System installation, filling the new tank with odorant and new odorizer startup. Decommissioning and removal of the temporary equipment. Final treatment and destruction of old odorization equipment. The upgrade to the odorization system was seamless. The new equipment was installed on the old facility’s footprint. There was no disruption of odorized natural gas sold to consumers. For more information, visit MRR Odorization Services.